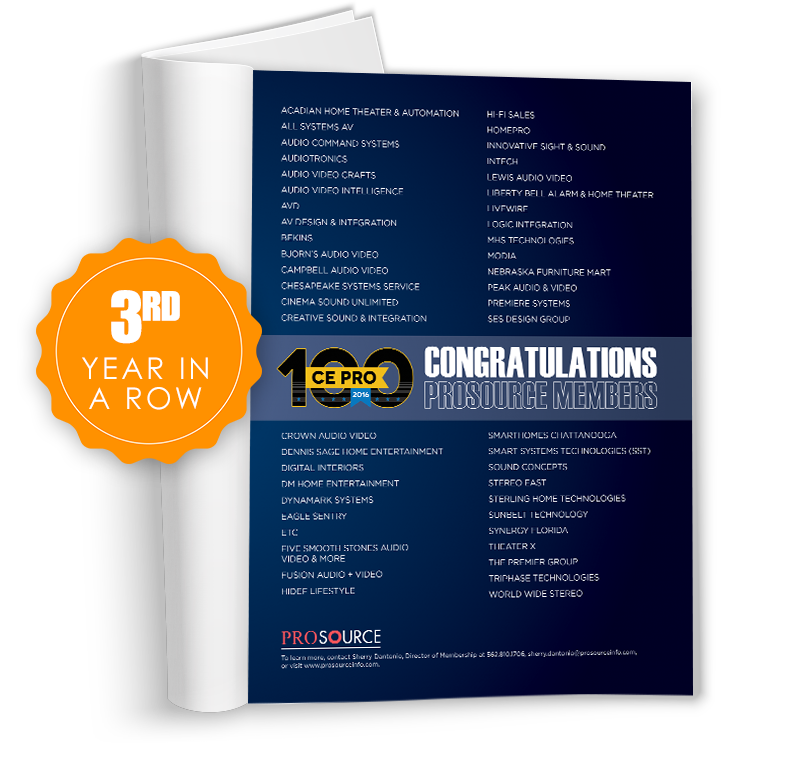 Get to know ProSource members from each of our membership levels. ProSource members represent the finest retailers and custom integrators in the CE industry. For the third year in a row, ProSource has more dealers represented in the CE PRO Top 100 Than All Other Groups COMBINED. We are proud to highlight dealers from each of our membership levels.